November 2018 – As we reach the end of 2018, we are focusing on two important and interconnected Steps to Success: Basic Needs, which covers issues like poverty, homelessness, crime and access to food; and Financial Well-being, which is about helping people find decent jobs, provide for their families and absorb the financial bumps in the road we all face. This holiday season, we encourage you to learn more about both of these issues and think about how to help our friends and neighbors who are struggling. Basic Needs is the foundation of our Steps to Success for a reason: If someone is unable to afford a safe home and healthy food, it will be difficult – if not impossible – to work toward a higher degree of success. Unfortunately, too many of our friends and neighbors are unable to provide these essentials for themselves or their families. Many more residents live at risk, living month-to-month in situations where a sudden job loss or health crisis could be devastating. United Way’s Altise Street visits prisons and meets with inmates approaching their release date to help them understand how to provide for basic needs upon their release. As a result, Virginia has the lowest recidivism rate in the country. Learn more. The Youth Housing Stability Coalition launched in 2017 with the goal of reducing homelessness and housing instability among youth ages 14-24 in the region. 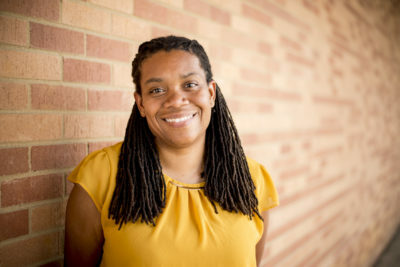 Learn more about the Youth Housing Stability Coalition and read our Q&A with United Way’s Katina Williams, who works with partner organizations to manage the coalition. 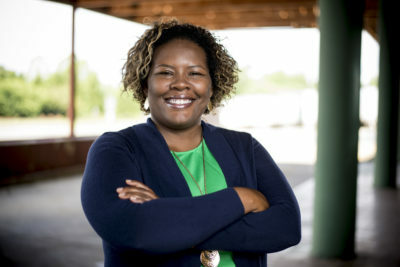 Angel Wright, United Way’s Associate on Loan from Publix, experienced first-hand the importance of basic needs. View the interview. Housing Families First’s rapid re-housing program gets vulnerable families and individuals experiencing homelessness quickly into a safe, permanent home. Read our Q&A with Executive Director Beth Vann-Turnbull. Children’s Home Society of Virginia’s Foster Care Adoption program finds permanent, loving homes for 700+ children in Virginia’s foster care system. Read our Q&A with Chief Executive Officer Nadine Marsh-Carter. Feed More’s Meals on Wheels program works with more than 1,500 volunteers to provide balanced, nutritious and appealing meals to older adults and people with disabilities. Read our Q&A with Amory James, Director of Meals on Wheels and the Community Kitchen. OAR of Richmond’s START! Reentry program provides services to those currently incarcerated and those that have been recently released with a focus on employment. Read our Q&A with Executive Director Sara Dimick. 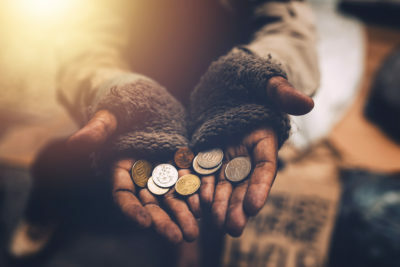 Financial stability can be thrown off by sudden job loss, health crisis or other unanticipated expense, jeopardizing our ability to provide basic needs like food and housing. While financial stability is important throughout the year, financial decisions made during the holidays can have a particularly large impact on our financial well-being. Many of us incur debt during the holidays and plan to pay it off using a tax refund in the spring. Learn why this is a bad idea. Speaking of tax returns, did you know the Tax Cuts & Jobs Act could have an impact on the amount of your tax return this year? We have put together a list of tips to help you make smart budget decisions this holiday season. Learn more and download the PDF to share with others. Want to learn more about financial well-being? Read our overview of the issue and visit our financial well-being page to learn about our work in this area. United Way is currently recruiting volunteers to support our Volunteer Income Tax Assistance program. Click here to learn more about the program and email April Wilson to get involved. The holiday season is a busy time for volunteers and nonprofit agencies alike. We’ve compiled a list of volunteer opportunities through United Way and our partner agencies, as well as a list of other ways you can help people this holiday season.